Moving house is a big job, but the matter is that it should not be a massive stress. You want the process of moving home to be exciting rather than scary, so why not get Moving Service involved? We have a great team who will be perfect for getting you moved out easily. We know that you may be worried about safety and security on your domestic removal in Stratford, E15 but with us you don’t need to. We can reduce the stress by treating your things with care. Make us your house movers, and you will not have to concern yourself with little things like where to get boxes from, or how many vans you need to hire. We can work those things out for you. Our team will plan the process carefully, so that you are comfortable with how it is all going to play out. Your removal service in the E20 region should make your life easier, not contribute to your worries! Whether you are doing a small domestic move, or a massive office removal in Stratford, we can make it work. We have the vehicles and the manpower to do various sizes of removal. Call us today on 020 8746 4402 and we can get the rest sorted for you. Moving To Stratford Is An Amazing Idea! 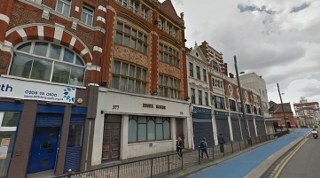 It is an area in the east of London, in the London Borough of Newham. The area is now famous for hosting Westfield Shopping centre and the Olympic Park. Nearby places include Hackney Wick and Leytonstone. The area has seen resurgence in popularity and residential use, following major redevelopment in the lead up to the Olympics. Simultaneously, Westfield and the Olympic Park began development, and the result was a growth in visitor numbers to the area in the lead up to the Olympics. The connecting of the London overground line to the area meant that its position on the central line made reaching the region even easier for commuters. This reinvigorated the area, and led to many of the newly built homes being bought up. ArcelorMittal Orbit is the name of a large artwork that forms a tower in the area. It was designed by Anish Kapoor for the games, and is now Britain’s largest piece of public art. It can be seen from miles away if the view is clear! Knowing that you are in safe hands will obviously be a big contributing factor, but safety needs to come at a good price. We offer incredible value for money on your removals in Stratford, E15. We know that moving a house is arduous task. You will have to pay your deposit, you solicitor, the agency, and all other kind of costs before you pay us. For this reason, we keep our prices as low as possible. We do not allow that to slacken our service, however. If you are in need of the best home movers in the E15 area, then you can count on us. Amazing value is what we do at Moving Service. As a professional provider of removal services around Stratford, we aim to provide you with man and van services as well. All sorts of things can be solved with a man with a van. If you are moving form flat to flat, you may even be able to do the whole job at once! We will be able to work these sorts of things out with you over the phone, so why not get in touch with us on 020 8746 4402. We can ensure that you have the best chance of getting moved safely.